The U.S. Centers for Disease Control and Prevention estimates more than 8 people are killed and 1,161 injured in crashes that involve a distracted driver every day. That adds up to at least 2,920 distracted driving-related deaths and 423,765 injuries every year. In 2013, there were 3,154 distracted driving-related fatalities. Clearly, distracted driving is not a minor problem. It is something law enforcement is well aware needs to be addressed, but drivers are still attempting to multitask behind the wheel. Whether it is drinking coffee, texting, or talking with a passenger, anything that takes a driver’s attention away from the road increases the risk of an accident. 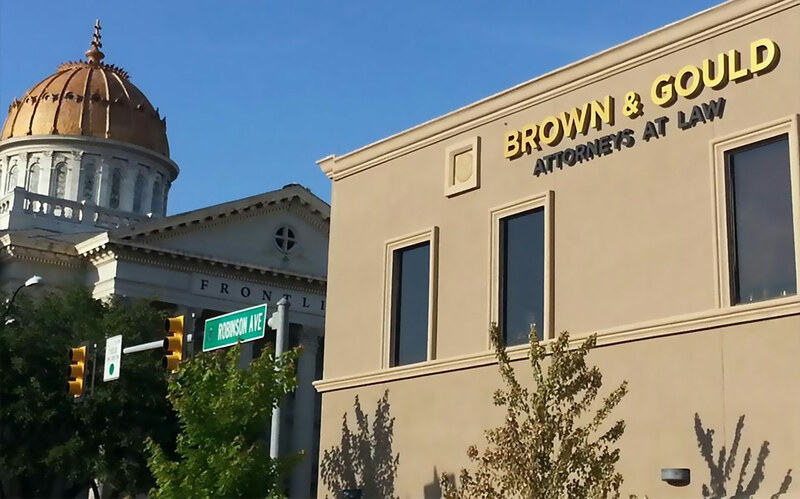 If you were hurt in an accident caused by a distracted driving, call the Oklahoma City auto accident attorneys of Brown & Gould, PLLC at 405-235-4500 today. We can help you recover the compensation that you deserve for your injuries. When people think of distracted driving, their minds instantly picture a driver with a cell phone in hand. Mobile phones are a serious issue for drivers. Many people try to dial, text, or read or send emails on their phones, only keeping one hand on the wheel and constantly glancing from the road. It is obvious how this behavior increases the chance of an accident – drivers are less likely to see a hazard in time to avoid a crash. Drivers often feel like they are capable of doing more than one thing at a time. However, while it may work out a number of times, every instance of multitasking behind the wheel raises the likelihood of being in an accident. The CDC discusses three types of distraction: visual, manual, and cognitive. Any one of these types of distraction is a risk. Drivers need their eyes on the road, hands on the wheel, and mind on that task in front of them. Many people rely on hands-free options to talk or text while driving. In most states it is the only legal option. Voice operated technology enables people to keep both hands on the wheel and their eyes on the road at all times. But what about their mind? Hands free may seem slightly better, but research has found it still leads to driver distraction. Trying to participate in other activities while driving is even more of an accident risk for teen drivers. Their inexperience with identifying hazards, lack of reasoning skills, and brief experience maneuvering their vehicles all lend a hand in raising the accident risk. A study by the AAA Foundation for Traffic Safety found distraction led to more teen crashes than previously thought. Distraction was a factor in almost 6 out of 10 moderate-to-severe accidents with teen drivers. Under state law all hand-held phone use is banned for novice drivers while the car is in motion. This means no texting, calling, or even hold their phone while driving. Texting is illegal for all drivers while the car is moving. No matter your age, all you can do is use a hands-free option. Someone ticketed for the use of a cell phone while driving is guilty of a misdemeanor and can be fined up to $500. If you are have been hurt in an auto accident and you suspect a distracted driver is to blame, call an Oklahoma City auto accident lawyer at Brown & Gould, PLLC right away. We can investigate your accident to determine if distraction was the cause or another factor was in play. We will advise you of your rights and your various legal options. We understand how difficult it is to move on after an accident. From repairing or replacing your car to receiving proper medical care and handling the bills while you are away from work, there is a lot resting on your shoulders after a crash. We work hard to aggressively fight for our clients rights and ensure they recover what they need to move forward. Call us at 877-886-3377 or use the online contact form to schedule a case consultation. We will work out a time that is convenient for you and give you the attention your situation deserves.